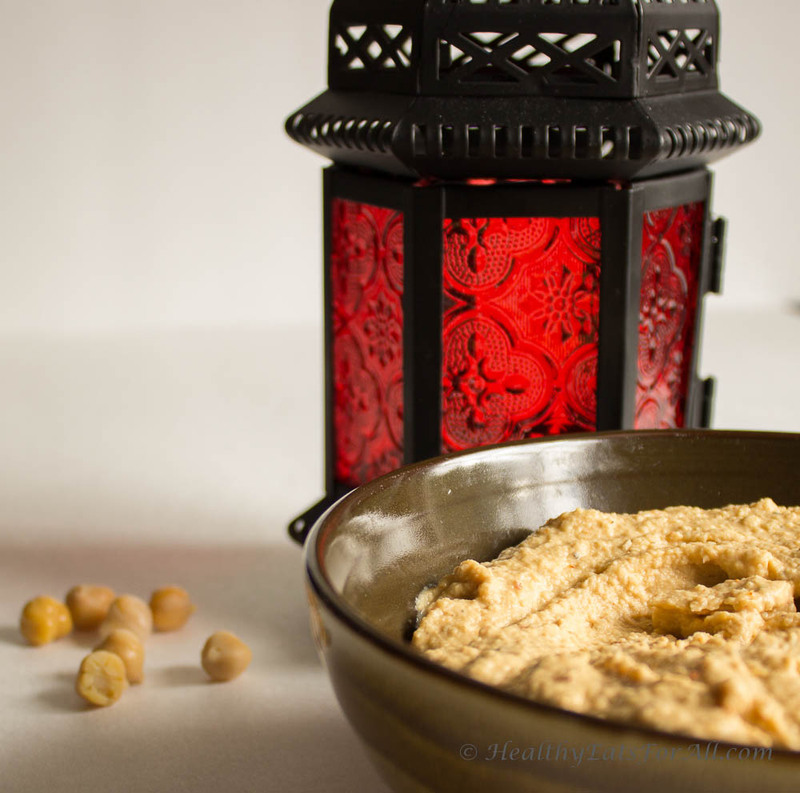 Hummus is a Middle Eastern dip that has become popular globally. It is now the go-to spread/dip for vegetable crudités, pita chips, pita bread, chicken/fish sandwiches, falafel and wraps. There are probably many variations available in just about any local grocery store. 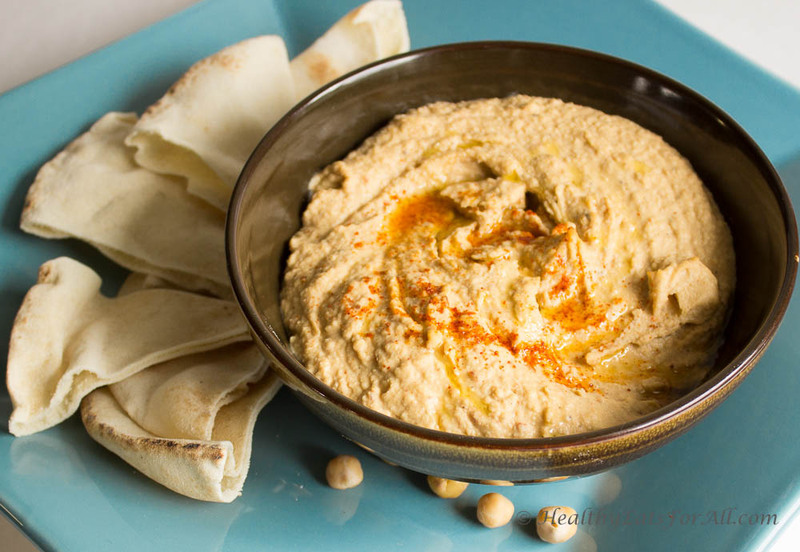 Hummus has a great blend of ingredients which makes it a nice source of fiber, protein, iron and healthy fat. I started making hummus at home despite its availability in stores to gain a greater control over all the ingredients that go into it. 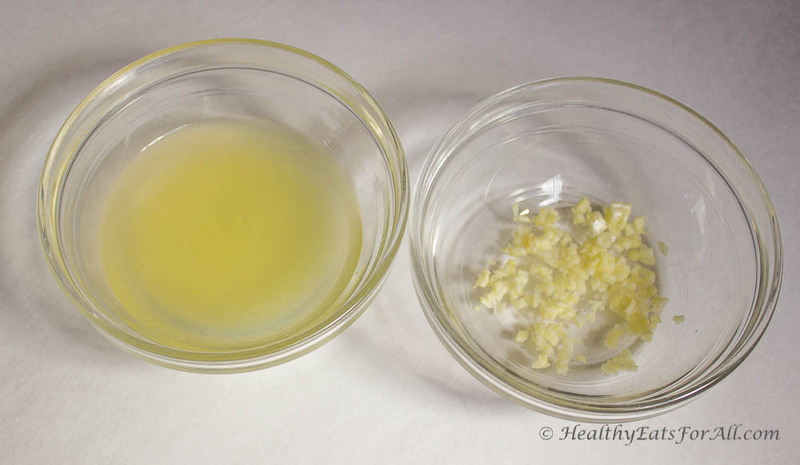 Thus, I can avoid using the preservatives and chemicals that would usually go unnecessarily into our bodies. On a lighter note, hummus is consumed in large quantities in our household, and I just got tired of spending $4-$5 on a 10 oz. container each week (and sometimes even twice a week!) 🙂 It is a popular snack in our house for school/office lunches as a dip for carrot/celery sticks or for pita bread at tea time. Plus the fact that it freezes really well makes my life a lot easier! I tried making Hummus a few times but it never turned out like the store bought ones. But the recipe that I am sharing today has turned out really great, rivaling the store bought ones! 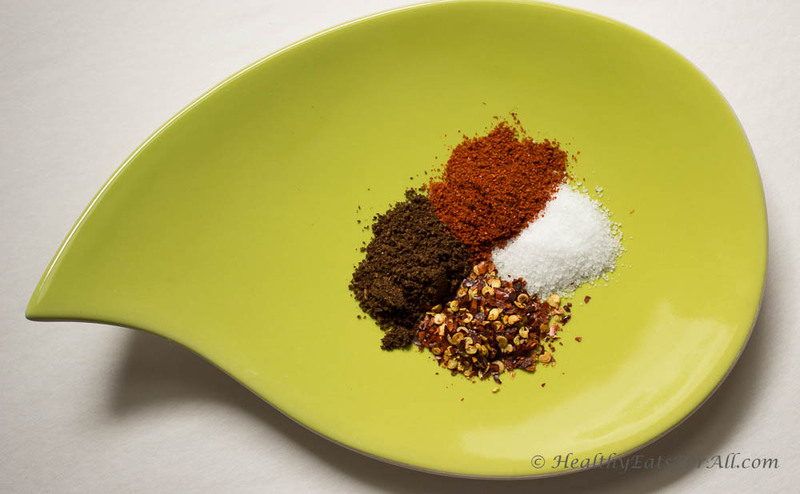 This recipe is for the Basic Spicy Hummus. I have used both canned chick peas and home cooked chickpeas for this recipe and both versions turn out same. Depending on how much time you have and whether you have any dietary restrictions regarding low sodium, you can decide what works best for you. 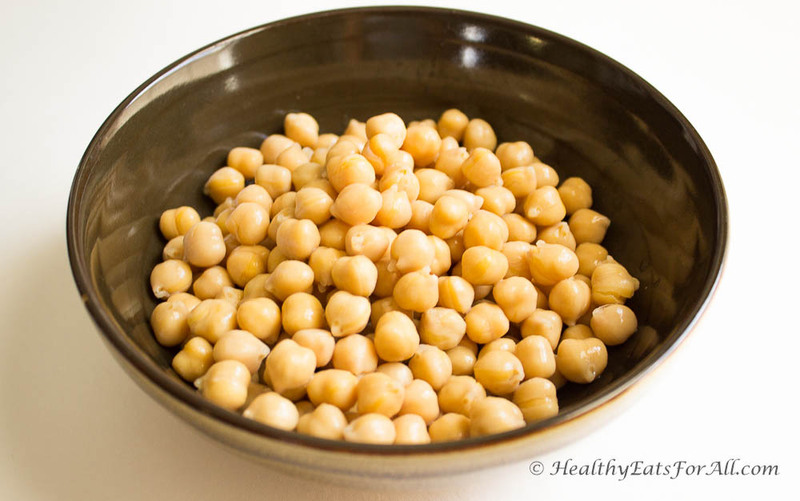 Canned chickpeas will have higher sodium content, but the benefit is that the whole recipe will only take about 10 minutes to make.For chickpeas that have been boiled at home (soak dry chickpeas overnight and boil till tender but not mushy) you will need to plan a bit but the benefit is that you can control the sodium. 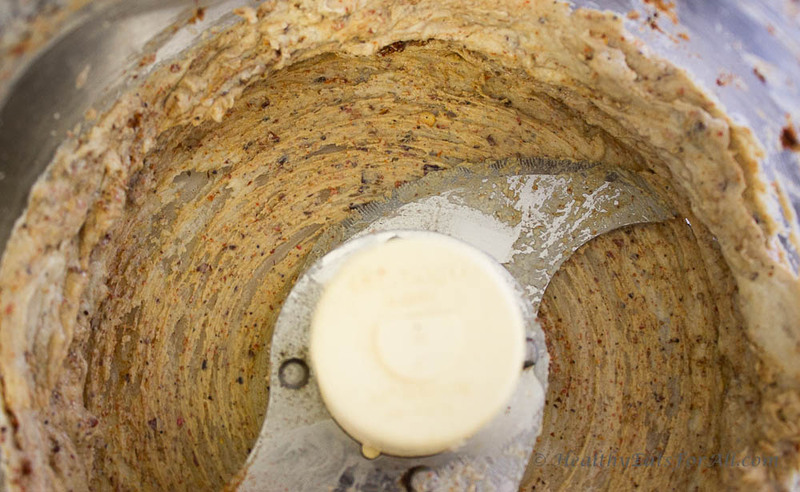 Pour the Tahini sauce and run the food processor for 30-40 seconds. 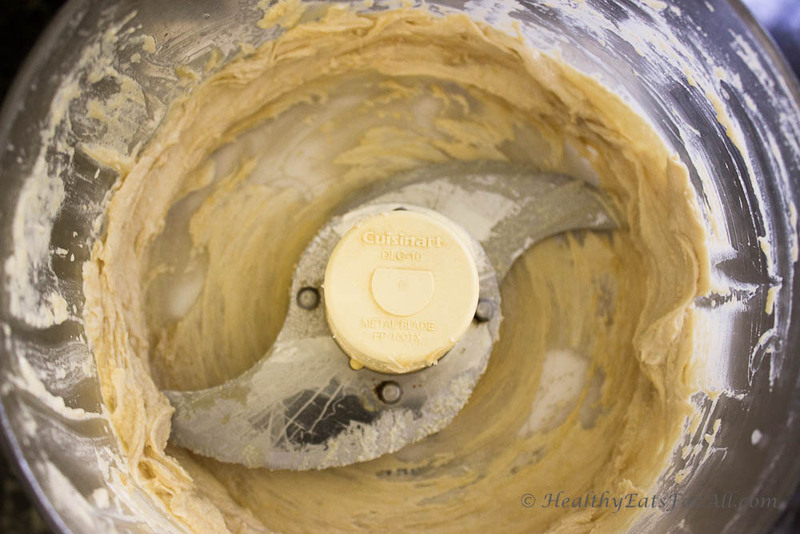 Then add the lemon juice and run the food processor for another 30-40 seconds till it is light and fluffy. Using a spatula scrape the bottom of the food processor and process again if needed. 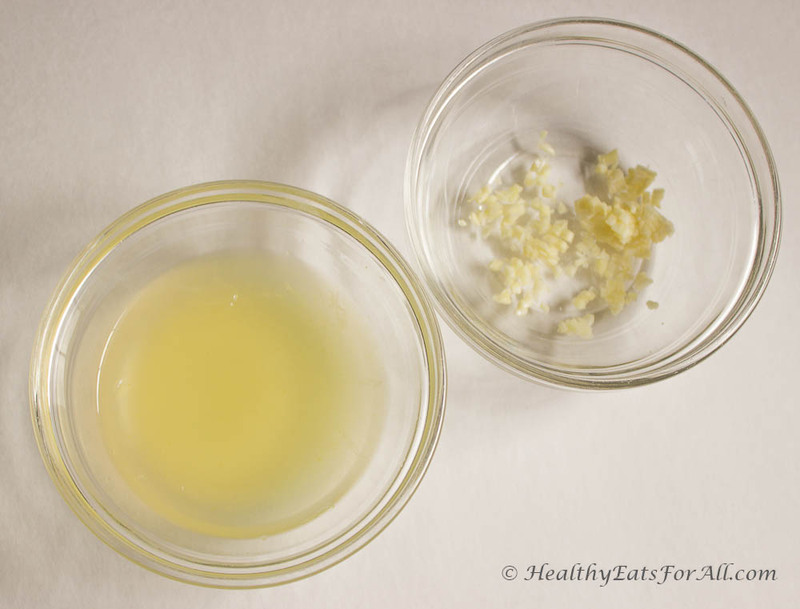 Then add the garlic clove and all the dry seasonings and run the food processor for another 20-30 seconds. Add the red chilies and crushed red pepper flakes only if you like your Hummus spicy. Otherwise you can skip these or add just 1/8 t each. Using a spatula scrape the bottom of the food processor and process again if needed. Now add the chick peas and water and run the food processor till mixture is smooth and creamy. Add the extra virgin olive oil at end and pulse for a few seconds. Garnish with a slight drizzle of olive oil & red chilies if you want. Store it in an airtight container in the fridge and it should last for at least a week. Enjoy! Quick Tip : It freezes really well. So you can make it in bulk and freeze part of it in small containers. You can take them out as needed, thaw overnight for best results. Hummus is my favorite snack! Beautiful lay out on blog – thank u! !